The Flats Deep Minnow is an important pattern for bonefish. The weighted lead eyes cut through the air on windy days, helping you put your fly on target. 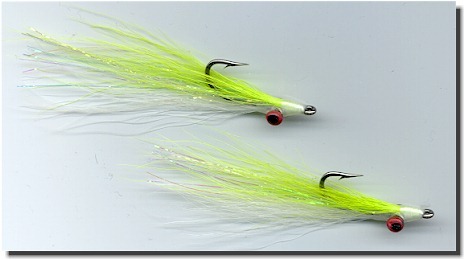 Also good for murky water, or times when aggressive fish will jump on an actively fished fly. Popular on bonefish flats in the Bahamas, Mexico, the Seychelles, and so many other bonefishing locations. 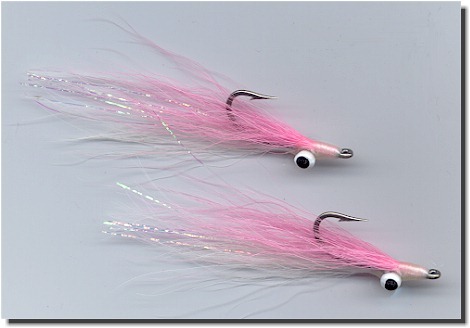 This fly is also an excellent pattern for striped bass when a small fly is needed, as well as for redfish and seatrout, and other gamefish which feed in a shallow water environment. 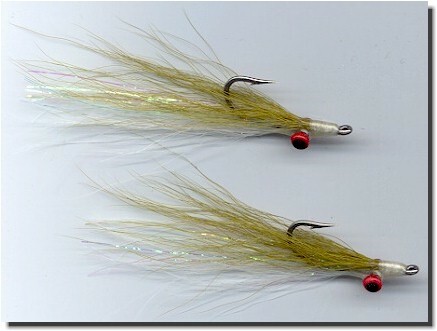 The Flats Deep Minnow is tied on a Mustad 34007 in a size #4. This pattern is approximately 2 1/4 inches long. 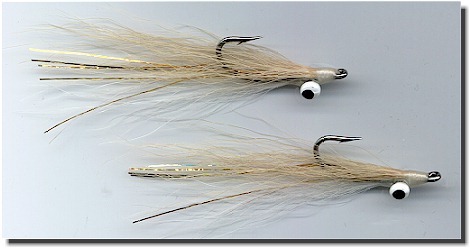 We have been very successful with this fly as a flats fly for stripers in New England - try the Olive or the Tan version. Tied by Blake Davis.